Chinese War Correspondents Covering Wars and Conflicts in the Twenty-First Century | Free eBooks Download - EBOOKEE! This book engages with the Chinese mediation of wars and conflicts in the global environment.Proposing a new cascading media and conflict model, it applies this to the studyof war correspondents from six levels: media-policy relations, journalistic objectivity, roleperceptions, news framing and peace/war journalism, news practices, and audience. 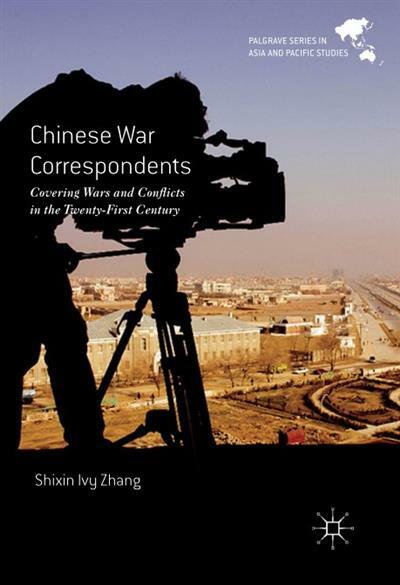 Based on interviews with 23 Chinese journalists and case study analysis of the Libyan War,Syrian War, Afghanistan War and Israeli-Palestinian conflict, the book demonstrates thata new breed of Chinese war correspondents has emerged today. They undergo a complexand nuanced mediated communication process. Neither traditionally Chinese in theirapproach nor western in their perceptions, they are uniquely pragmatic in negotiating theirroles in a complex web of internal and external actors and factors. The core ideology seemsto be anti-West in defiance of the US hegemony and the bias of global media as well asneutral-Muslims. Exploring the role perceptions, values, norms and practices of contemporary Chinese warcorrespondents who go outside China to bring the 'distant culture' back home, this text is keyreading for scholars and students in international journalism, international communication,war and peace studies, international relations and Chinese studies. No comments for "Chinese War Correspondents Covering Wars and Conflicts in the Twenty-First Century".